It’s a massive shame. Costner has been away from our screens for what seems like years (though in actual fact, it hasn’t been anywhere near that long, he just hasn’t been in much worth watching). In the past several months, however, his career has looked to be on a major upturn. He was awarded the role of Jonathan Kent in Zack Snyder’s Man of Steel, and is working as director and star on A Little War of Our Own. The perfect time, then, to appear in a Tarantino movie. The director is hot off of Oscar nominated Inglourious Basterds, and has a reputation for both making and resurrecting careers, most notably with Christophe Waltz’s Academy Award winning role in the afore-mentioned Basterds, and rescuing John Travolta from career oblivion with Pulp Fiction. Costner is in the middle of a mini revival, and a boost from a high-profile movie from a successful director would have helped cement his return. I won’t go overboard and say Costner’s role would have been potentially award-worthy. Waltz and Leonardo di Caprio will most likely have the ‘showy’ roles in Django. Tarantino has, however, put together a stunning cast so far (assuming you close your eyes and pretend Jamie Foxx isn’t in it). Costner has had a massive career, and at one time was Hollywood’s highest paid actor. 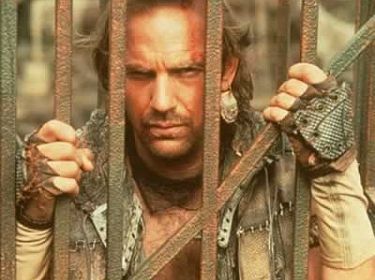 He has his detractors, but is a favourite of mine, particular since he was in one of my favourite films, Waterworld (and if you think it’s rubbish, you clearly haven’t watched it properly). I was looking forward to seeing Kev mix it up with some fantastic actors, probably the best cast he would have worked with since The Untouchables. I very much hope he gets another great chance with a project that does fall into his schedule. This entry was posted in Articles, News and tagged academy award, casting, django unchained, kevin costner, Leonardo Di Caprio, news, oscar, quentin tarantino, samuel l jackson, update. Bookmark the permalink.